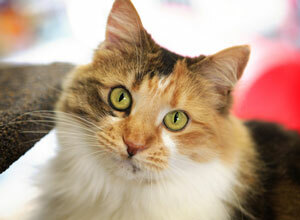 Grooming rescue felines for their purr-fect match! Sydney's leading 'Cat Vet' Dr Kim Kendall is partnering with the Cat Protection Society (CPS) to raise awareness about feline adoption by grooming homeless cats. Currently celebrating 20 years as a feline vet and the re-launch of The Chatswood Cat Palace - offering veterinary, grooming and boarding services, Dr Kendall is washing and grooming selected cats from the CPS during the month of August, as well as providing a full health report. 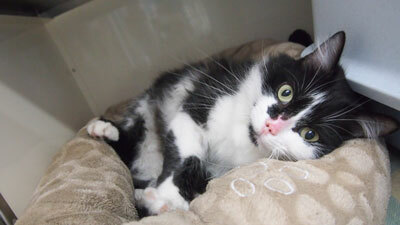 Since the launch of the partnership last week, two 'pampurred' cats have been re-homed! "I worked for many years with the Cat Protection Society neuturing the rescue cats and rehoming their 'overfill' of kittens - after they were neutered, of course! Many of those kittens remain as my patients, even to their dying day 12 - 18 years later. It is kind of a 'foster family circle'," she says. Dr Kendall also washed every rescue cat and kitten who came to her clinic before homing them out. "The effectiveness of a clean, de-fleaed, affectionate and well-socialised feline in finding a furr-ever home was easy to see," she says. "After all, 'furst' impressions are the most lasting." Cat Protection Society's Chief Executive Officer Kristina Vesk highlights the importance of grooming for particularly medium and long-haired cats. "Sadly, we’ve seen many long-haired cats surrendered to us with such severely matted fur that the only option for them has been a full clip under sedation," she says. Fluffy kittens are appealing but they need a lifetime of work to maintain health and happiness, she adds. "Matting causes pain, health and behavioural problems – but it is preventable. If you’re not prepared to do the hard work yourself, then professional grooming is a must," she says. "We’re delighted that Dr Kendall has attended to our fluffiest residents, making them look their very best as they seek their purr-fect match." *There are currently 458 people online.